Debenham Community Swimming Pool Project Needs You! Following the residents of Debenham voting emphatically for the Neighbourhood Plan just a few weeks ago, now is the time to start putting those community plans identified during the consultation into action. So after being dormant for the last year, but with fund raising money securely in our bank account, the Debenham Pool Project Committee are re-grouping and assessing new opportunities for funding that the approval of the Neighbourhood Plan opens up, to kick start our project again. But we need help to do this - we need enthusiastic people, who want to see Debenham get the swimming pool it deserves, to join our ranks. There will be a meeting on 25th March at 7pm at the Primary School, where we welcome all interested parties to discuss next steps and share ideas. 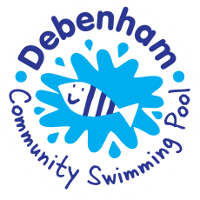 The Debenham Community Swimming Pool Committee of local volunteers and supporters must reluctantly announce that the project to develop a new community swimming pool at the village’s Primary School can no longer be achieved. We are obviously extremely disappointed, but despite our best efforts, we have not been able to raise the necessary funds. At our recent Steering Group Meeting, we agreed that the DCSP Charity will for now, become financially dormant. We will continue to seek to identify any alternative opportunities to deliver a swimming provision back in the village, as such we are establishing closer links with the Debenham Sports and Leisure Centre as well the local Councils who are currently considering future sports and leisure provision in the area. You will appreciate that we have spent some money getting us to this stage, so we are contacting all those who very kindly provided us with financial contributions, donations or grants to return them if they so require. The funds that were mainly generated through our own fundraising activities will be used for this purpose, with anything left, being donated to appropriate local good causes. We have had so much fun running events such as the Aspall Run and the WoW (women on wheels) that these two events will now become firm fixtures, but also the infamous Dibbs quiz and many other fun events that we hope you too have enjoyed. However at this point no more funds will be raised for the project. It is such a shame as we have a great “small community pool” concept, design and business plan, so we will be keeping a little in reserve, just in case we are able to re-launch a new project in some form in the future. We would like to take this opportunity to thank the many of you who have supported us through the last few years and remain optimistic that swimming may one day return again to our lovely village.